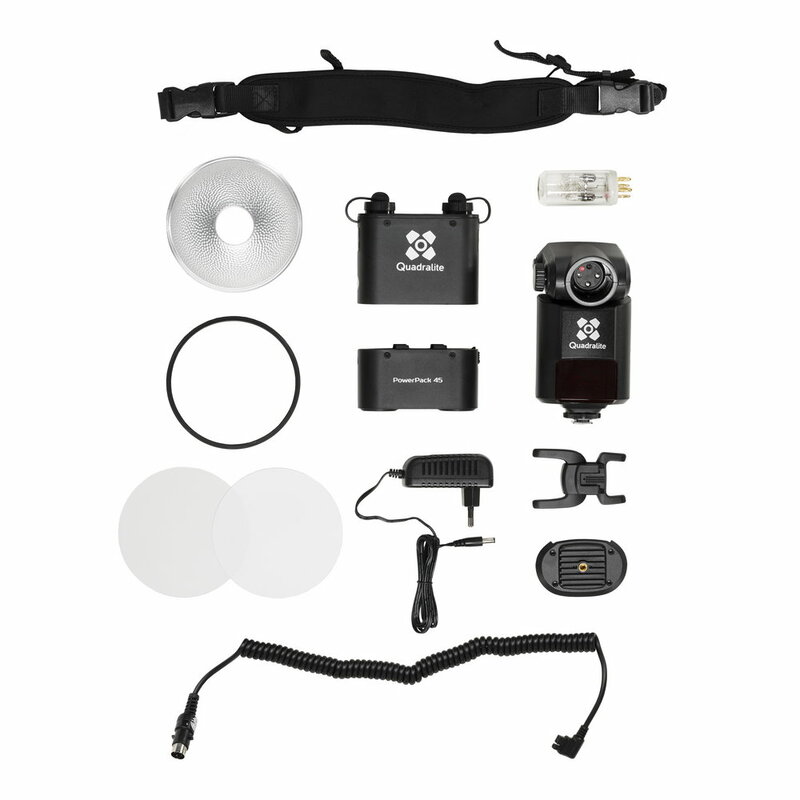 Quadralite Reporter 360 TTL is a powerful & portable flash that is fully compatible with Canon E-TTL II/Nikon i-TTL* autoflash system. It is also equipped with a built-in receiver of the Navigator X wireless 2.4GHz radio triggering system. 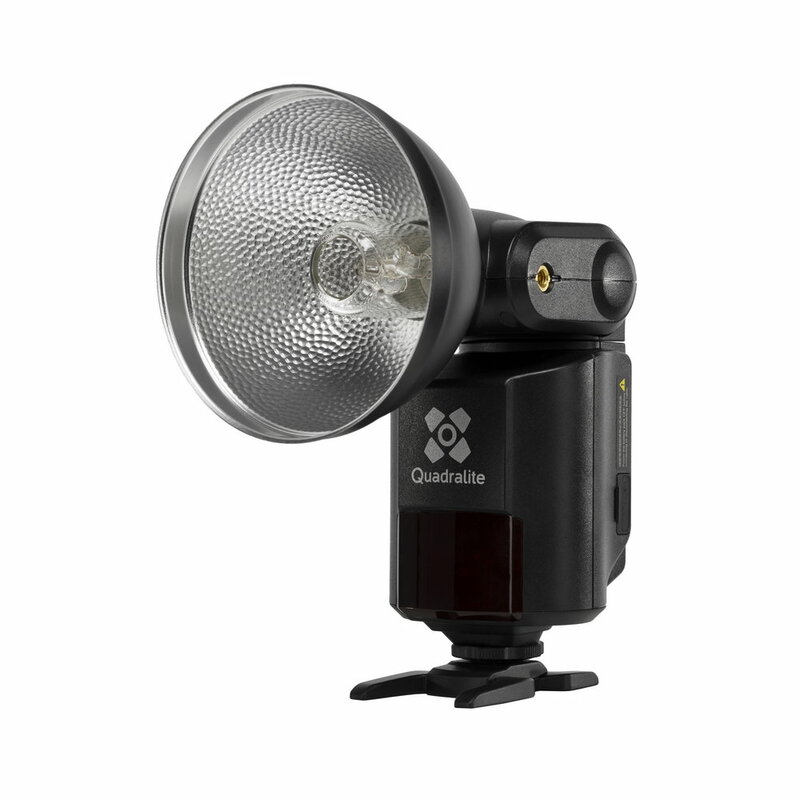 Therefore, it can be easily use in combination with speedlites, Quadralite studio flashes, and other. Thanks to use of TTL auto exposure metering mode shooting is simpler and faster. Correct flash exposure can be easily achieved even in complex light-changing situations and locations. 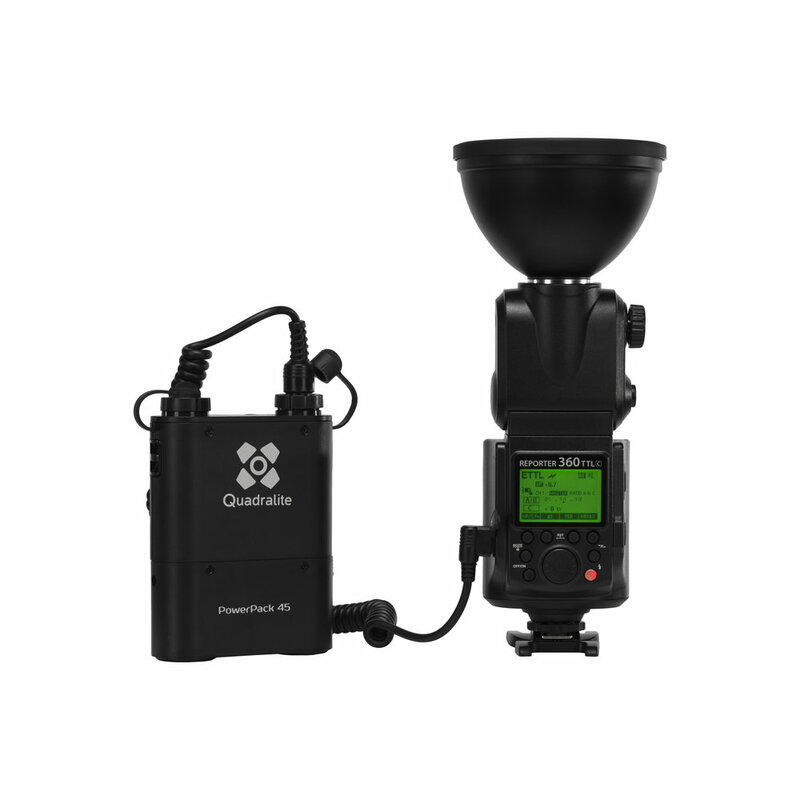 Quadralite Reporter 360 TTL is a sophisticated bare-bulb type flash unit with external power pack, wireless power control, and a range of dedicated light shaping accessories. 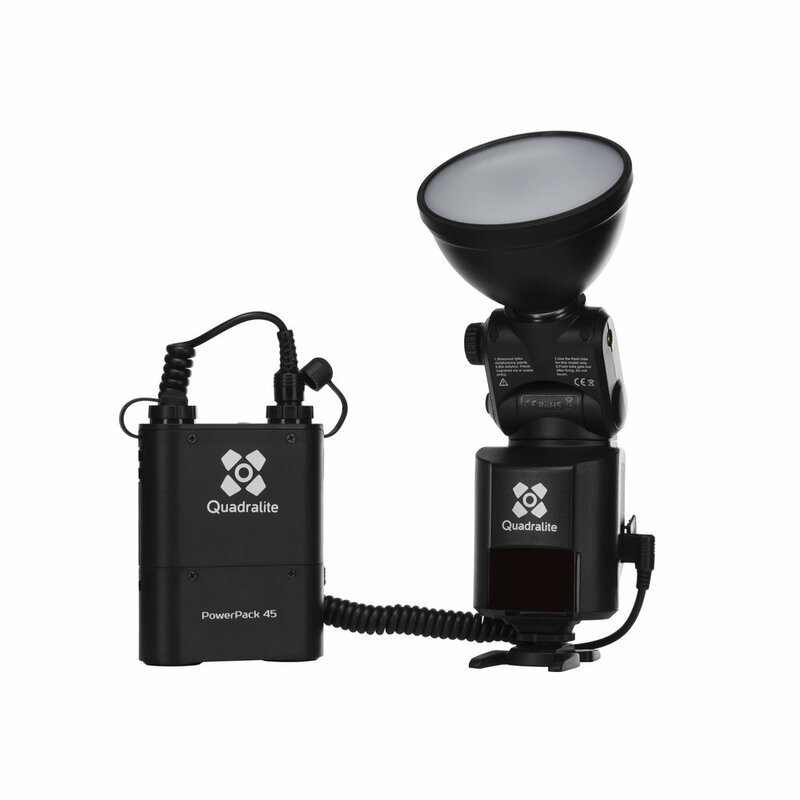 It is 5 to 7 times powerful as typical speedlite flashes, with the size and weight alike. It offers studio quality light in a small package allowing outdoor and on location shooting. This is a perfect tool for action, fashion, portraits and still life photography. Quadralite Reporter TTL 360 C flash works best with Quadralite Navigator X radio transceiver which allows wireless control and triggering including High-Speed Sync and Multi modes**. It is not recommended to mount Reporter 360 TTL on the camera - camera hot shoe might be damaged. Reporter 360 TTL is to heavy. * depending on flash version. Please read user manual for more information. ** third party radio triggers will work only up to cameras x-sync speed, wireless output control and HSS is not supported. Detailed information has been provided in the flash manual.